There's nothing quite like the excitement of finding out your favorite actor or actress is going to be starring in a new film. But for as often as we see them on the big (or small) screen, we very rarely hear them say their own names. Sure, they might be introduced at awards shows and interviews, but journalists and announcers have been well known to get names wrong. They're only human, after all. That can lead to a whole bunch of confusion when it comes to the correct pronunciation of some names, and everyone knows how easily the media can pick up on something and even make the incorrect version seem like it should be the right one. So, let's take a look at some of the celebrity names you might be pronouncing wrong. 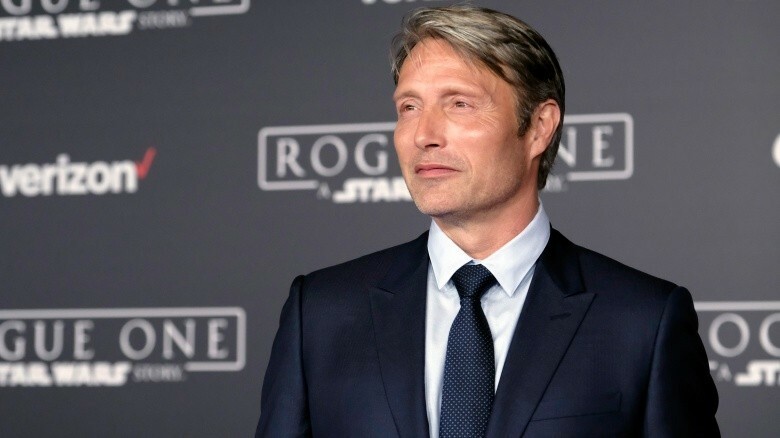 He didn't start his career until he was 30 (he told The Independent that he'd previously spent 10 years as a dancer), but the Danish actor is known worldwide for not just his unearthly performance in Hannibal (2013-15) but for his roles in two of the biggest franchises in the world: Marvel and Star Wars. In spite of all that fame, almost everyone gets his name wrong. When Mikkelsen spoke with the National Post, the first thing he wanted to get out of the way was his name. According to him, it's pronounced "Mass," but he doesn't get offended when people mess it up. "I don't mind, I think it sounds kind of cool," he said. He's Sabretooth in X-Men Origins: Wolverine (2009)—someone that no one wants to mess with—and according to his interview with late night host Jimmy Kimmel, don't call him "Leev" if you want to stay on his good side. When Kimmel pointed out that the action star's name auto-corrects to "Live," the actor quipped that was better than the relentless mispronunciations he too often encounters. What's it supposed to be? "Le-ev." 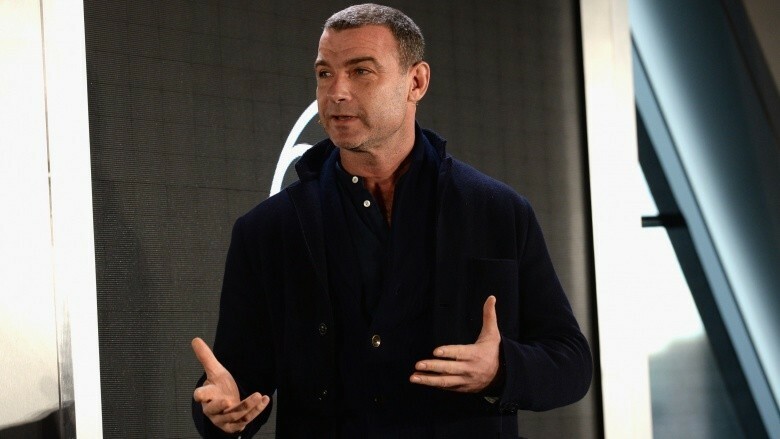 Schreiber was less than thrilled with Kimmel's suggestion that he just change his name to Live, even though "Live Schreiber" sounded like something on the fresh fish-of-the-day menu. A native of Brooklyn, N.Y., this unlikely celebrity has a background as blue-collar as it gets. 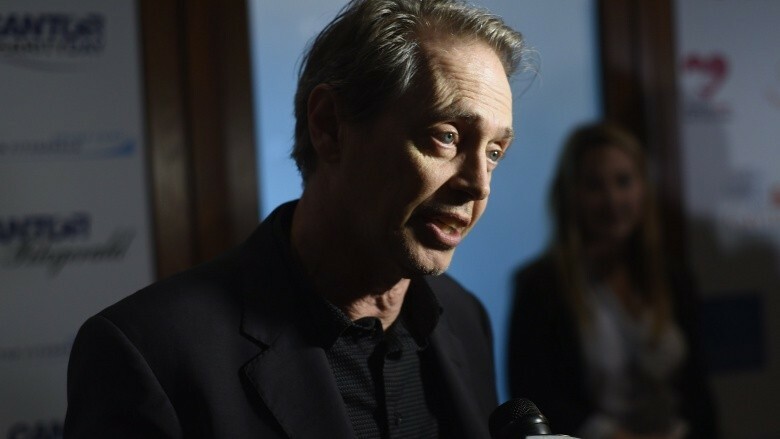 The son of a sanitation worker and a waitress, Buscemi counts dishwasher, furniture mover, ice cream truck driver, gas station attendant, and firefighter among his many jobs. He dropped out of community college, and he told The Guardian that taking acting classes simply seemed like "the logical thing to do." Today, everyone knows him, and everyone says his name not technically wrong, but absolutely unlike the pronunciation he was raised with in Brooklyn. "I can't say 'Boo-shemi,'" he told talk show host Scott Rogowsky (via BuzzFeed). "Because I didn't grow up that way." While the actor pronounces his last name as "Boo-semi," he goes on to say that in his family's native Sicily, it's pronounced "Boo-shay-mi," so even Steve's taking some poetic license with his surname. 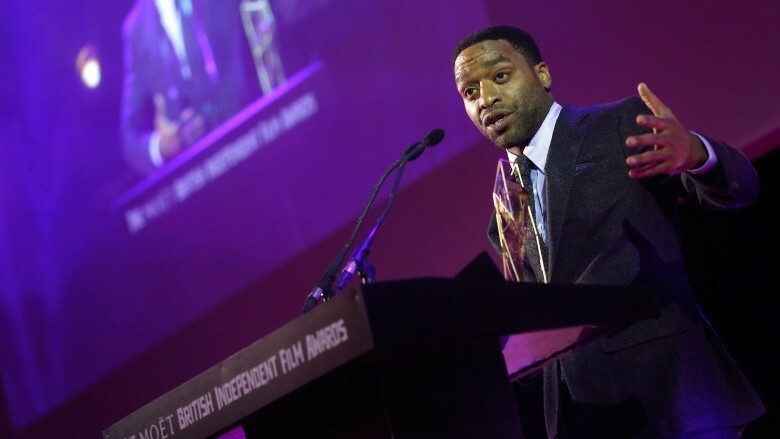 When Chiwetel Ejiofor won the Olivier Award for best actor for his portrayal of Othello, even the BBC was a bit baffled about the correct pronunciation of the thespian's name. Because Ejiofor is a Nigerian Ibo name, the network tracked down some native speakers to find out how they would pronounce it, but alas, there was no consensus. Unable to consult the busy actor directly, the BBC reached out to two sources who knew him personally: his theatrical agent and a press officer. They both claimed to know the correct pronunciation of his name…and shared two entirely different versions of it. When Vanity Fair sat down to chat with the actor in 2015, he seemed incredibly understanding about the difficulties his name presents. "A nickname for me at school was Duracell," he said, hinting at a lifelong confusion over his name. "It's perfectly fine, it's a complicated name." So what's the right way to say it? "Chew-eh-tell Edge-ee-oh-for." 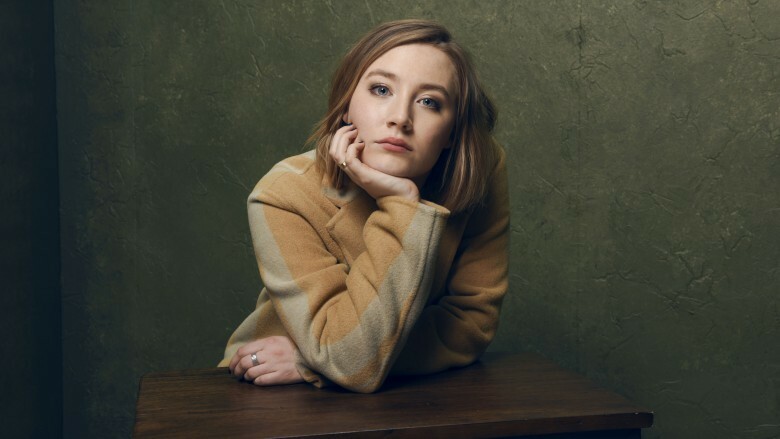 Irish actress Saoirse Ronan found fame in the States with Brooklyn (2015), the story of an Irish immigrant forging her way through 1950s America. It earned the young Carlow native her second Oscar nomination, and it also earned her complete phonetic confusion among American fans. In January 2016, she discussed her name with talk show host Ellen DeGeneres and laughed about the difficulties many were having with her traditional handle. "It makes no sense," she said, and while she didn't know anyone else personally who shared the name, she did say that it means "freedom," and God knows, Americans love that. DeGeneres proceeded to make Ronan a sandwich board to help those struggling with the pronunciation. It read, "Hello. My name is Sur-sha." When Jimmy Kimmel subjected Ioan Gruffudd to some good-natured ribbing about his unpronounceable name, the Welsh actor admitted "…every agent in town said you've got to change your name, you're going to be pigeon-holed as a Welsh actor. But, being a young, patriotic Welshman, I didn't." Since then, it's been the bane of his existence, he says, and he's become known as the guy with that name. It's ironic, considering it's simply the Welsh version of the more well-known "John." 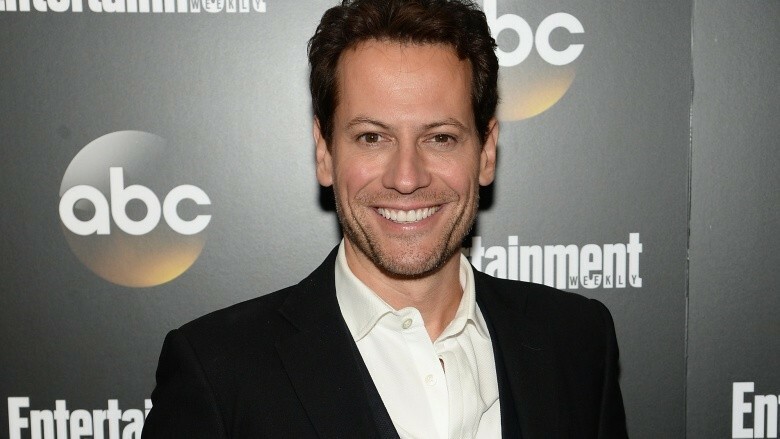 According to Gruffudd, it's properly pronounced "Yo-anne Griff-ith." 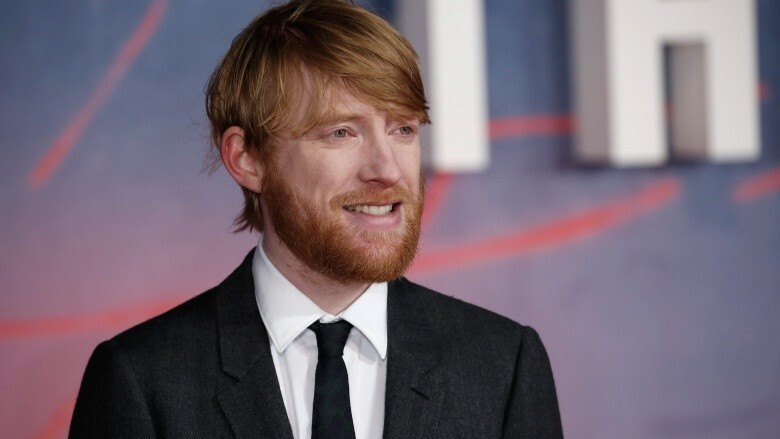 He's starred in both the Star Wars and Harry Potter movie franchises, yet his name remains a challenge for most of the world outside of Ireland. Born in Dublin, the red-headed son of actor Brendan Gleeson says he's been referred to by names that aren't even remotely close to his actual handle. He told Entertainment Weekly he'd once been dubbed "Downhill Gleeson." Fortunately, his name is actually deceptively easy to pronounce. "It's like 'tonal' with a 'd' instead of a 't'," he told Entertainment Weekly. "The 'm' is just there to confuse Americans." "The only two places that it's pronounced correctly, my last name, like you did just now, is in Sweden and in IKEA," said Gyllenhaal when he sat down with late night host Conan O'Brien. What started out as a tongue-in-cheek look at Gyllenhaal's rather complicated last name, turned into outright surprise from O'Brien when the comedian got it right. The correct Swedish pronunciation is "Yeel-in-hall" or, the actor says, even "Yeel-in-halla." Gyllenhaal, who is half Swedish, told O'Brien, "We're pretty great people. You know, we come with simple instructions, and we seem really great, and then at the end of it, your fingers are sore and you feel awful." The versatile actress has made her mark in Hollywood playing an incredible array of characters, and it's made her a household name. Unfortunately, most of those households are actually pronouncing her name wrong. When Theron went on The Tonight Show, she was thrilled when host Jimmy Fallon got her last name right. "It's like music to my ears," she said of Fallon's correct pronunciation. It's "their-in", but she says, "Everyone screws it up." If you get it wrong, rest assured you're in good company. Fallon told her that even Liam Neeson, her co-star in A Million Ways to Die in the West (2014), had absolutely no clue how to accurately say her surname. 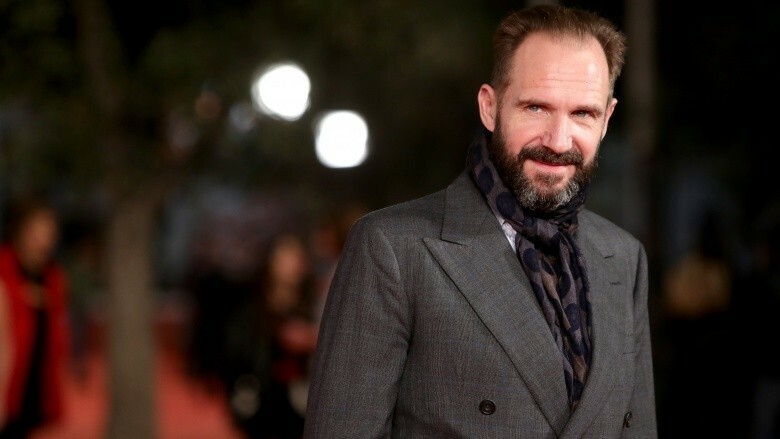 It's no secret Ralph Fiennes had big shoes to fill when he stepped into the role of "M" in the James Bond series, but the English actor is definitely no stranger to big parts. 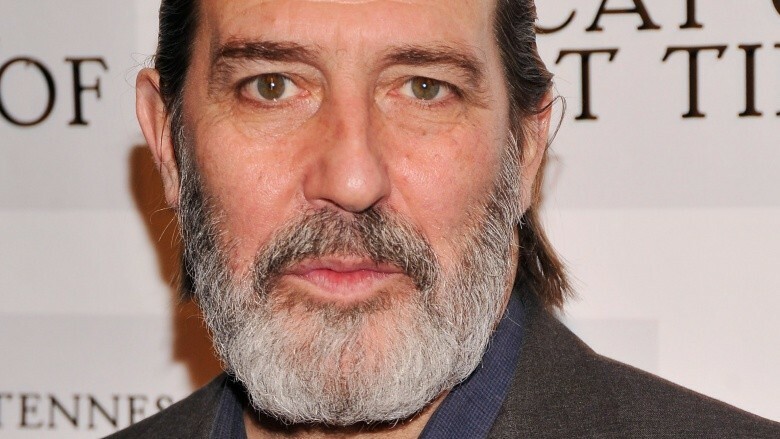 He's appeared in everything from Shakespeare in Love (1998) to the Harry Potter franchise, and yet, he says most people still manage to mispronounce his name. According to Vanity Fair, his first name is simply pronounced "Rafe" and is a family name passed down from earlier generations. If you want to get extremely technical, Ralph (and brother Joseph) actually have incredibly complicated surnames as well. Their last names are actually Twisleton-Wykeham-Fiennes, but thankfully, it's usually shortened. This London-born lady started acting in college and eventually landed a role that turned out to be very personal. In Denial (2016), she played a professor named Deborah Lipstadt who defeated one of the world's most notorious Holocaust deniers in a landmark court case. 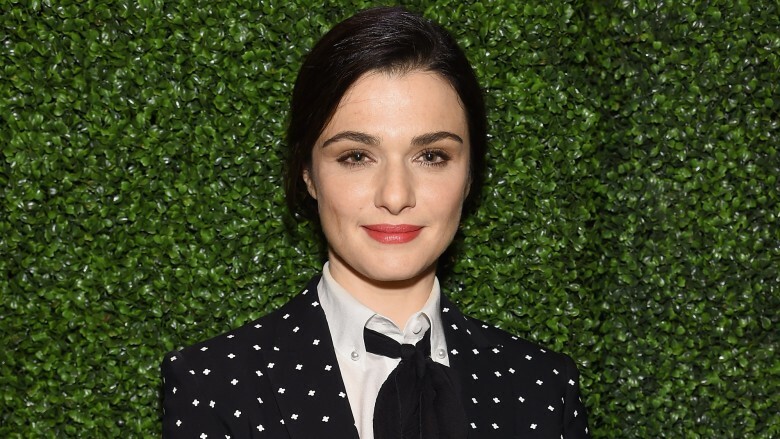 For Weisz, it was a chance to look back on her own family history. She told People that her parents lived through the anti-Semitic atmosphere of pre-war Austria. Her mother and father escaped Austria and settled in England with the help of a family friend, outspoken writer and historian Rev. James Parkes. It was only when she went to America that Weisz found people were having a lot of trouble with her last name, which is correctly pronounced "Vice." "I learned to be polite," she said at a 2009 screening of The Brothers Bloom (2008). "I have been here for eight years, but now I am going to start correcting people." She's one of the biggest names in music, appeared in several movies, and has a career that spans six decades, but according to a 2016 interview with NPR, Barbra Streisand is still struggling to get people to say her name correctly. A massive gaff on the part of Apple hasn't helped matters: when you ask Siri about Streisand, the personal assistant reportedly says her last name all wrong. 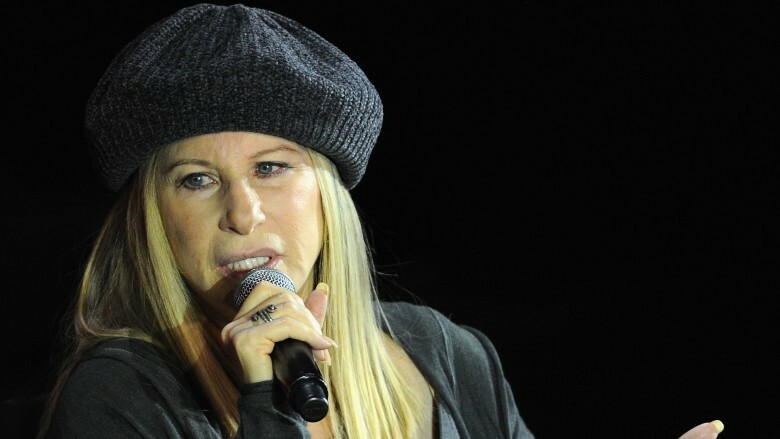 Because the legendary Ms. Streisand absolutely does not have to stand for that sort of thing, she reportedly got on the phone with Apple CEO Tim Cook and requested Siri's pronunciation be changed. He obliged. If you want to get on the same sheet of music, follow Streisand's lead: "Streisand with a soft S, like sand on the beach. I've been saying this for my whole career." It seems like this should be a pretty straightforward one, but according to the actress, it's anything but. Amanda Seyfriend went on the record with a Hollywood.com correspondent about the constant mispronunciations of her last name, saying one of the worst gaffs is when she gets called "Siegfried." She even argues with her sister over the correct pronunciation. According to the Les Misérables (2012) star, it's "Sigh-fred," though her sister insists it's "Sigh-freed." The versatile Irish actor does everything from movies to television, stage to voice-overs. He lent his pipes to a few characters in Frozen (2013) and quite literally froze as Mance Rayder in Game of Thrones (2011-). While his name is distinctly Irish, he says the difference between the northern and southern accents means that not even the Green Isle is entirely sure how to pronounce his name—he's had fellow countrymen tell him he's saying it wrong. When working in Dublin, he told the Associated Press he's called "Keer-on," but Hinds hails from Belfast in Northern Ireland, and says, "They don't bother with accents up there, so I've always been called 'Keer-in.'" He said part of the problem is that the name has both Gaelic roots and an Anglicized pronunciation, so the resulting sound is often somewhere in the middle. While co-stars and colleagues have insisted they need to pronounce his name correctly, the actor says, "I've been called a lot worse, so it doesn't really matter." The British actor has starred in a string of Hollywood blockbusters such as Selma (2014) and Interstellar (2014), but his name still makes people stumble. There's a good reason for that, and when Oyelowo went on The Tonight Show to chat with Jimmy Fallon, he talked about how difficult the true pronunciation is, and why he absolutely doesn't expect anyone to get it 100 percent right. His name is Nigerian, and he says that even though there's one pronunciation that he considers correct for those living in Europe and America, it's not good enough for his father, who is continuously mortified by the public's inability to get the name right. Even after saying it (and warning Fallon to not even make an attempt), Oyelowo poked fun at his father's inability to get names like "Tom Cruise" completely right. If you're looking for the easier version, try this sing-along led by Brad Pitt (who was the producer on Selma). 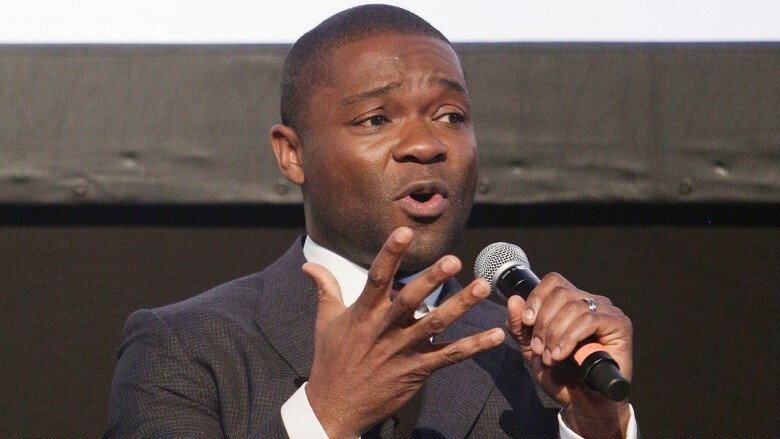 Pitt claims the acceptable way to say Oyelowo's name is "oh-yellow-oh." Born in California, Rebecca Romijn kept her challenging Dutch last name throughout her career, first as a Sports Illustrated swimsuit model and later as an actress. The daughter of a teacher and a toy maker, Romijn went on to marry 1980s heartthrob John Stamos, and changed her name to Rebecca Romijn-Stamos. That union ended in 2005. Two years later, she remarried actor Jerry O'Connell, but when Romijn sat down with Conan O'Brien in 2013, the late night host brought up the fact that her driver's license still listed her as "Rebecca Romijn-Stamos." Awkward? Romijn told O'Brien, "I gotta get on top of that. My children are going to start asking questions soon…I am so lazy I won't go down to the DMV and stand in line and get that changed." The actress says her name produces plenty of uncomfortable moments, especially when the family is flying somewhere and she's paged over the loudspeaker. The correct way to say her unwieldy Dutch name? Just like the lettuce: "Romaine." The 2013 Academy Awards saw an epic match-up in the best actress category. Up for the award were both the oldest actress ever nominated (Emmanuelle Riva for Amour) and the youngest actress ever nominated. 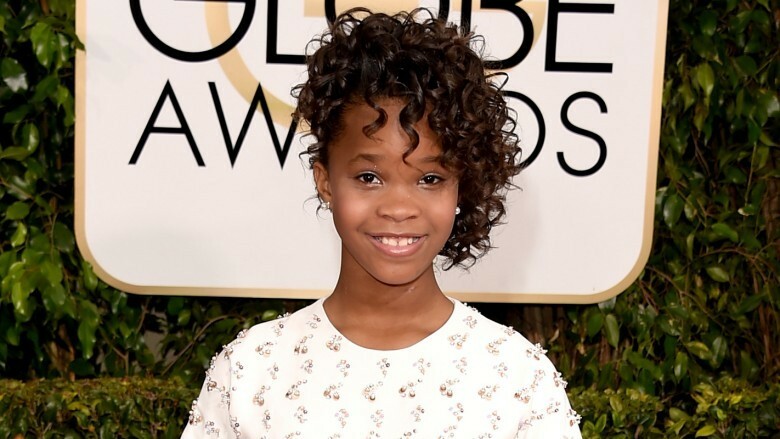 According to MTV News, Quvenzhane Wallis was just 5 years old when she tried out for Beasts of the Southern Wild, lying about her age to get into the 6-and-up audition. She was 9 by the time she walked into the Oscars, and even though she didn't win, her cinematic career is clearly promising. Now may be a good time to start practicing her unique name, which is reportedly a combination of her parents' names. Her mother, Qulyndreia, reportedly combined her name with her father's name, Venjie, and added "shane," from the Swahili word meaning "fairy," reported Deadline Hollywood. The last name is easy, just like it sounds. Her first name, though? According to the actress, it's "Kwa-vehn-zhan-ay." Those who stumble over Ukrainian actress Milla Jovovich's name are in good company. "There's many times where even I, at certain points in the evening, after a few drinks, can't pronounce my own surname," she told the BBC (via The Fix). It's a tongue-twister the rest of the time, too. The star of the Resident Evil movie franchise lists the correct pronunciation of her name on her website, and it's easier than it looks. Milla rhymes with Sheila, and Jovovitch is almost exactly how it appears, but with an Eastern European flavor: "Yo-vo-vitch." 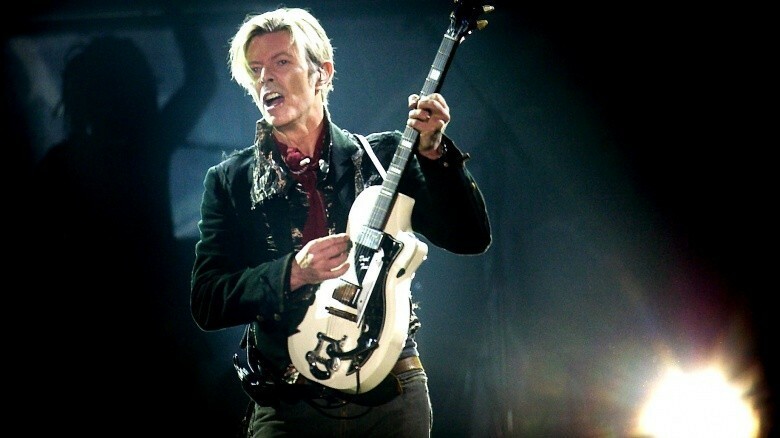 Over the course of his incredible career, David Bowie reinvented himself numerous times. That makes it even more appropriate that when he was interviewed by Jeremy Paxman in 2000. he admitted that he had lost track of just what the proper pronunciation of his name actually was. Bowie adopted the now-famous moniker in place of his birth name to avoid being confused with another up-and-coming singer, Davy Jones, of the Monkees. David Jones became first (and briefly) Tom Jones, and finally, David Bowie. Mispronunciations have included "Boo-ey," like the knife, "Bow-ie" (like "Cow-ie"), and "Bough-ie." Even when his death made headlines in 2016, it seems the press could not agree on a pronunciation. According to that 2000 interview, Bowie said, "I don't even know how to pronounce it anymore, I've lost track. I always thought it was 'Bough-ie,' I thought, this is a Scottish name, it must be 'Bough-ie.' But no one in Scotland pronounces it like that." In the early 1990s, the rock star appeared on MTV to introduce his videos and pronounced his own name "Bough-ie," which seems to settle the matter. 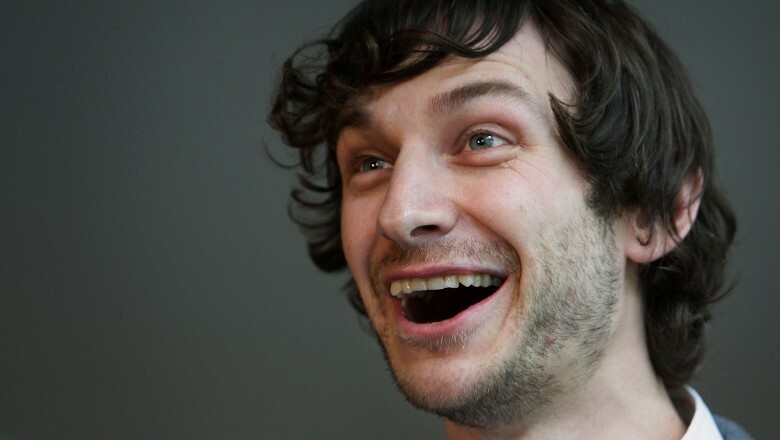 Belgian-born Wouter De Backer hit the pop scene big in 2012 with the hit "Somebody That I Used to Know," released under the stage name Gotye. Even though he and his family moved to Melbourne, Australia when he was 2, it's not entirely surprising that he'd choose a name that looks deceivingly easy to English speakers…but absolutely isn't. He told The Huffington Post that he was raised speaking mostly Flemish (and still speaks it when he can), and like many words and names, this one ends up being a bit different than what most English speakers may assume. The indie star pronounces his stage identity "Go-tee-ay," adding in what looks like a few extra letters and syllables. 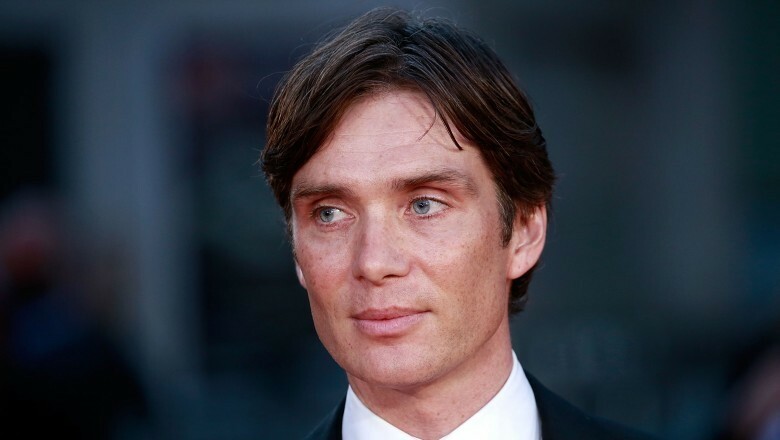 When Cork-born Cillian Murphy moved his family back to Ireland, he told The Guardian it was because he wanted his children to grow up Irish and know their grandparents. Raised in a family of educators, he grew up in a traditionally Irish home, playing rugby before heading off to university. His name is quintessentially Irish, too, and at a glance, it's an easy one. It's the "C" that's the problem. The proper way to pronounce this Irish lad's name is "Kill-ee-an." Irish names can be some of the most confusing for non-native speakers to try to pronounce, and when Downton Abbey (2010-15) became a surprise hit in the United States, it's no wonder that some of the names caused a lot of confusion. 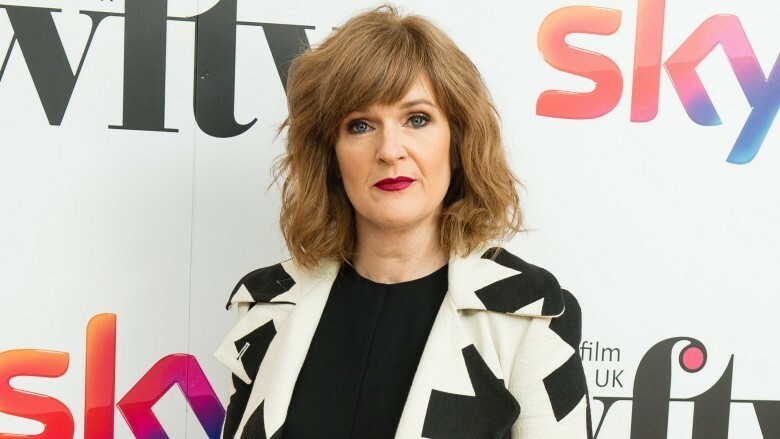 At the top of the list is actress Siobhan Finneran, who played the diabolical Miss O'Brien. When she left the show in 2013, she left plenty of fans struggling to figure out how to properly bid adieu to a name like "Siobhan." While her last name doesn't contain any surprises, slainte to anyone who says "Shi-vawn" on the first try for her first name. M. Night Shyamalan became a household name in 1999 with The Sixth Sense, only a few years after he graduated from New York University. Born in Mahe, Pondicherry, India, he and his family moved to Philadelphia when he was young. 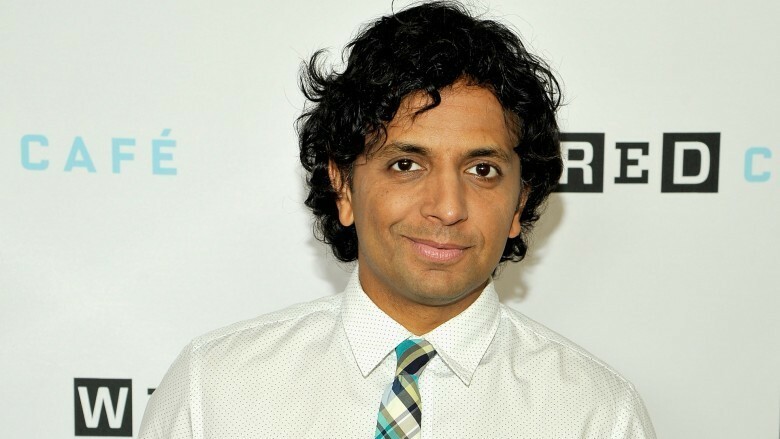 The name moviegoers know him by is a bit simplified from his birth name, Manoj Nelliyattu Shyamalan, but the easier version is still a bit of a challenge. It might be tempting to insert the "shy" part of his name as it appears when it's spelled, but it's actually pronounced "Sha-ma-lan." 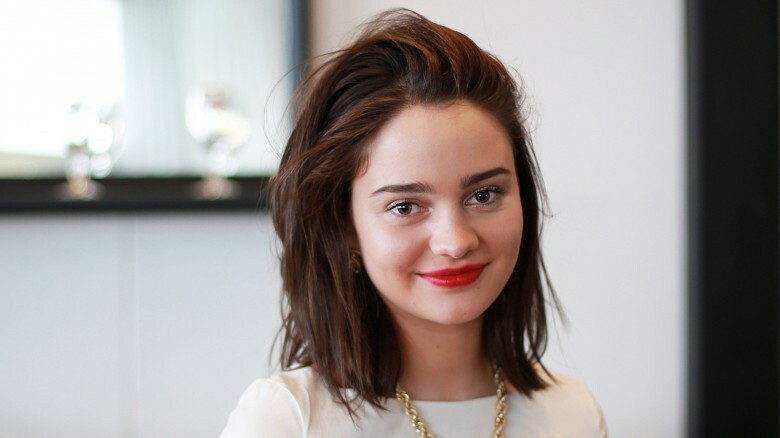 She was center stage in a scene that Game of Thrones (2011-) fans had been waiting years for, one that Aisling Franciosi didn't even tell anyone she'd been cast in until the episode aired and everyone in the world found out that she was the face of the elusive Lyanna Stark. According to what she told Entertainment.ie, not only did the Irish actress not know who she was auditioning for, she'd never even seen a single episode of the hit show before she was cast. Her role as a crucial GoT character has the world beyond her native Ireland puzzling over her name. Far from being pronounced like it's spelled, it's "Ash-ling Fran-ci-o-zee." It's always tough for TV shows to keep going after they lose actors that have been synonymous with the series itself, and that was the case when George Clooney said farewell to ER (1994-2009). 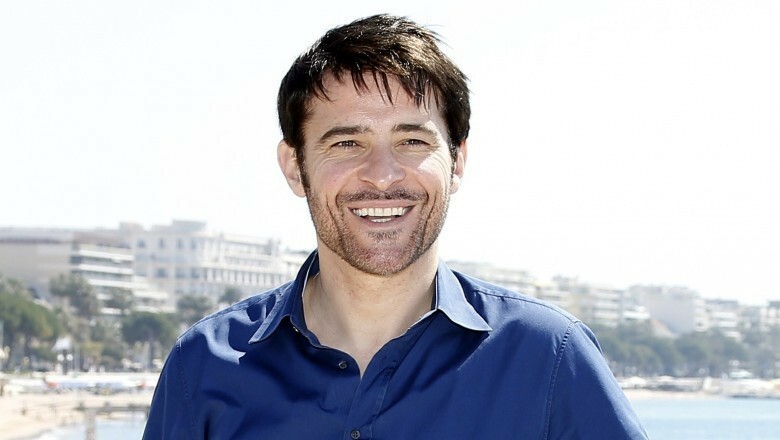 Unlike many shows who struggle to find replacements, ER successfully stunned audiences into continuing to watch with the casting of Goran Visnjic. According to The Telegraph, his real-life personality is everything—and more—than what he seems on screen, and his break into Hollywood was particularly impressive, given that even after months on ER, he still wasn't incredibly fluent in English. As for the pronunciation of his real name? It's "Gor-in Vish-nick." 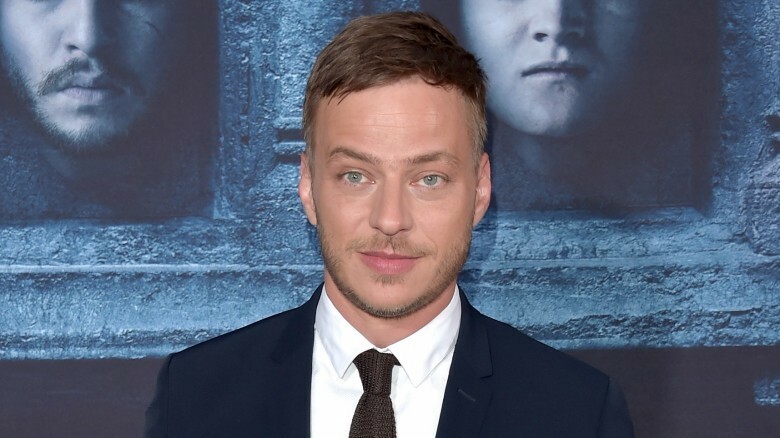 Jaqen H'ghar is one of the most mysterious characters on Game of Thrones, and he's portrayed by German-born Tom Wlaschiha. The actor grew up in East Germany, just outside Dresden, at a time when the Berlin Wall still stood and there was little in the way of television, movies, or theatre. He told Access Hollywood that even post-Game of Thrones, the idea that he can just get on a plane and go to America still seems incredibly foreign. Wlaschiha was 17 years old when the Berlin Wall came down, and since then, he's been in a series of films both in English and in his native language, though GoT fans might still stumble over his last name. It sounds absolutely nothing like it looks. To get it right, repeat after us: "Blash-ee-a." With a resume that includes movies like 12 Years a Slave (2013), Star Wars: Episode VII – The Force Awakens (2015), and Marvel's Black Panther (2018), it's no wonder that Lupita Nyong'o gets a bit annoyed when people still get her name wrong. Holding tightly to her heritage even in the face of fame, she told Vogue that she still regularly returns to her family's home near Lake Victoria in Kenya. In 2014, she was named People's Most Beautiful Person, and that announcement came with a lot of clips of very, very embarrassed journalists who should have been briefed ahead of time on the right pronunciation of her name. They likely should have watched the video she made specifically to clear up any confusion, and if they'd listened to her, they would know that it's "Loo-peeta Ne-yawng-o". It seems like an eternity since Taylor Lautner first burst out of his shirt and onto our screens as impossibly ripped teenage werewolf Jacob Black, yet somehow, almost a decade on from the release of the first Twilight movie, most of us are still messing his name up. Lautner was absolutely everywhere back then, catapulted to superstardom after the movie adaptation of Stephenie Meyer's inter-species romance series became an unstoppable global phenomenon. By 2010 he was the highest paid teen actor in Hollywood, though even then nobody bothered to check if we were all pronouncing his name correctly. As it turns out, we weren't. A video that was shot behind the scenes on Lautner's cover shoot for a 2011 edition of Seventeen magazine has recently surfaced, and you can quite clearly hear the young actor introduce himself as Taylor LOUT-ner, rather than Taylor LOT-ner, as he has mistakenly been referred to all these years. The fact that he has been too polite to correct the hundreds of people who have interviewed him in that time will probably endear him to his fans even further, though maybe if he'd been able to grow a spine as quickly as he did a six pack, he wouldn't have gotten famous under the wrong name.